Other disabilities aren’t even on society’s radar. I am mum to a child with a Foetal Alcohol Spectrum Disorder (FASD). Someone exposed to alcohol in the womb can have a range of brain-based challenges. The condition is little-known, isolating and affects each individual, each family differently. Parents vent in FASD support groups about how their kids are always grumpy and never listen. They open up about destruction, rudeness, out of control scenes. Some days these groups are full of parents and carers describing in many different ways how, from their perspective, the person with FASD takes away the joy in their lives. It makes me sad. I imagine how these posts must impact those with FASD who read them. I empathise with other parents and carers even if I don’t always agree with how they phrase things. We all need to let our hair down and scream sometimes. It’s important to do it where others understand why you feel the way you do. I have even felt this way at times myself, before I understood my son lives with underlying organic brain damage that happened to him before he took his first breath. I remember one day, looking down at him when he was mid-tantrum. A child on the stairs, screaming, throwing, spitting. In my frustration I shouted, “Why are you doing this?” (I thought he was doing this to me.) He shouted back at me, “I don’t know Mummy!” That moment hung there, frozen in time for me forever. I saw deep into his eyes, where his utter distress was laid bare. He’d probably said this same thing a thousand times before, but that day, that one day I stopped and I saw. I listened. I accepted this was his truth. None of us knew at the time that this was not a ‘tantrum’ but a ‘meltdown.’ His brain could not handle the input it was receiving. There’s a meme, “Kids with FASD are trying.” It says, “How you read that statement matters.” I have come to understand just how hard my little one tries. I know now, as another meme says, that he’s not giving me a hard time, he’s having a hard time. But understanding doesn’t automatically bring empathy. To tap into empathy, we have to try to think of situations we have experienced that might be similar, to remember those moments when we felt out of control, overwhelmed, confused. Every single one of us has at some time or other felt that type of distress, anxiety and fear – maybe made worse by being hungry or tired or sore in some part of our body or soul. We probably were on a short fuse and most certainly not at our finest. How did we want others around us to act? One time I was travelling in Japan. I ended up with the wrong ticket for a train. I got stuck at a barrier gate. No one who worked there spoke English. I don’t know Japanese. I couldn’t read the signs. I couldn’t see where I should go. I wasn’t sure when the next train was. I had become separated from my group. One other person who was going to the same meeting, someone much senior to me, stopped on the other side of the barrier and simply waited there for me. We hadn’t been travelling together. He was likely to miss the train. But he saw my distress. He just waited. I cannot tell you how his presence helped me that day. I think of it often now when I see my son becoming dysregulated, when the world overwhelms him and he starts to spiral. I try to stand there for him, with him, even if I can’t always fix the moment – just like that wonderful man did that day for me somewhere between Tokyo and Hiroshima. I wait for him. We see shocking news articles about the lack of empathy toward autistic children and those with other conditions. And we rightly demand better treatment. But when it comes to FASD, despite the fact it affects more people than autism, those stories – let alone empathy – rarely exist. Stigma is crippling progress and denying those with FASD their rights. Too many doctors consider an FASD diagnosis ‘a label’ and discourage parents from pursuing the needed assessments. Too many social workers fail to note or tell foster carers or potential adoptive parents about possible exposure to alcohol in utero because they think this somehow taints a child. Too many teachers don’t support assessments and Education, Health and Care Plans because they think the little one is ‘fine’ because he or she somehow stays in the chair all day, meanwhile falling further and further behind. Professionals time and time again insist the problem is just ‘bad parenting’. Such shame, blame and denial of services for FASD are about as far from empathy as you can get. My own empathy has grown by listening, truly listening, to the experiences of adults with FASD. They give voice to those thoughts, feelings and frustrations that the younger ones cannot yet put into words. They highlight for us the creativity, persistence, determination and unique kaleidoscope of abilities and strengths that that people with FASD possess and can build upon, once their basic needs are understood and supported. They help us see FASD through their eyes, as one leading voice in the UK, Lee Harvey-Heath called his awareness raising effort. Every person deserves to know that there is a place for them in our society, that we each bring gifts, that we each make this world that much better because we are a part of it. We can tap into our own empathy and model how we want the world to be, today. Curled up, knees to his chest, our guy has been seeking relief from a sore tummy. There’s nothing more heart wrenching as a parent than knowing your little one feels unwell and you can’t really do anything to help. Time must run its course. Viruses are inclusive. They hit little ones no matter what their cognitive processing abilities. But there are some special challenges they bring to homes like ours. He is so thin. We have to watch closely to ensure he doesn’t become dehydrated. It’s hard to know just what he is experiencing. For anyone with sensory challenges, a virus like this is a nightmare. Linking cause and effect is not easy for those with FASD. So, it’s hard for our guy to make sense of this onslaught his body is facing. He has a milk protein allergy and he has learned over years that food can affect his digestive system. He is asking me what are foods that he ate that might have done this to him. “It’s not what you ate this time, it’s a bug.” A pause. Oh, wait, I have to watch what I say. I think fast as I see him trying to wrap his head around that. “When I say it’s a ‘bug’ I don’t mean it’s really a bug, that’s a thing people say when they mean a ‘virus’.” People with FASD are literal thinkers. We’ve had days of this now. We are being given updates and descriptions of the outcomes. He is perseverating on this illness and counting the explosive results. To be fair, I don’t blame him. It’s been quite spectacular. He came to me a day or so into it all, with his phone in hand. He had researched and said he needed the B.R.A.T. diet (bananas, rice, applesauce and toast). He was asking us to buy some applesauce. Our son, now 14, who has been feeling really horrible used technology and found an appropriate strategy to deal with his symptoms. The B.R.A.T. diet is not something we discuss around here. He found his way to this on his own. He has been patient. Lying still. Going up and down stairs hurts his tummy. He texts me what he needs and with his updates on the toilet situation. I find this incredibly encouraging. People have different views on allowing children to use technology. I am willing to admit we are liberal parents when it comes to this question. But we are doing this consciously and not out of parental laziness or laxness, as some might think. We believe our son’s future success will depend heavily on his use of technology. This illness has shown us a glimpse of how that is true. It’s not just that he found an answer on the internet. But he considered much input, sifted through what Google showed him and he found the right answer – the B.R.A.T. diet (or at least what used to be considered the right answer, I know the advice is changing,). Most importantly, he has been using technology to help us help him. A second example of hope in the midst of a possibly really hard time – he asked for a bath. That doesn’t sound spectacular. But I had thought having a bath just then was counterintuitive. He wasn’t feeling well. We had agreed he’d stay home. He didn’t need a bath for school. I admit it, I was a bit exasperated with the request. I help him with washing hair, etc. and I hadn’t planned on him needing one this particular morning. I was trying to work. Oh my goodness. I felt like angels were singing. I was so excited that he had thought this all out. He remembered the way he felt the day before when bathing. He was trying to think of what might make him feel better today. He pushed for a bath even in the face of my discouragement. Though a bit late, he eventually told me why he had wanted the bath. And again, he was right. He had chosen the right strategy. He trusted I would eventually listen instead of giving up on his idea and retreating. Again, he was ahead of me in figuring out what he needed. He was problem solving for himself. Appropriately. These moments are so important and so encouraging. We decided to call 111 (an out-of-hours medical line here in England). He recently started taking some medicine designed to help bladder issues and we just weren’t sure if some of these recent problems might be side effects of the new medicine. They asked us to bring him in on a Saturday morning. Our son was not especially feeling well, walking down stairs he had to stop. In prior years we may well have not been able to get him out of the house for this, it might have led to a meltdown. He asked exactly where we were going. We explained. We gave him advance notice. Some reminders as time was getting closer to leaving the house. Before we left he grabbed a wad of Blu Tak. (For those who don’t know it, it’s like putty, it’s used for hanging things on walls.) He didn’t say anything, just picked it up. I commented, “That’s a really good idea to bring that to help you. Well done!” He smiled a small smile. Having something like that to squeeze helps him to stay calm. It was just a simple thing. He didn’t make any big deal about it. He was just naturally implementing a self-regulating strategy at a time of potential stress. It’s hard when our guy gets ill. His body doesn’t handle sensations in the same way as my own. I had actually said to my husband, “For all we know, he could be having an appendix attack, we just don’t know what his pain threshold is at the moment.” The words our son uses to describe how he is feeling are different than words I might use. We have to listen very hard and we have to be very patient to ensure he feels ‘heard’ and feels encouraged to continue to try to explain to us what he is experiencing. It is too easy in those moments of stress to talk over him or to assume we know what he is trying to say. The whole conversation has to go slowly. We encountered two doctors this weekend who were both good in dealing with someone with a neurodevelopmental disorder. Once on the phone – the out-of-hours doctor who kindly sent us to a quiet clinic rather than the busy hospital A&E. And then the doctor who saw him in the clinic, who was very reassuring. Unbeknownst to our son, I had assumed he was going to end up with an IV in A&E. But here is the final, fourth oh-so-encouraging thing that happened this time. Our son has listened to us and he has been drinking tiny amounts. He was not dehydrated. We did not need to go to the hospital. What a huge relief. We have been telling our son how important it is to drink. When he rejected the prescribed medicine once we were at home (and I really don’t blame him, it is foul-tasting), he then asked me about ice lollies. I said ice lollies are good since they melt and are liquid. He asked about sorbet, does that count? And I said it’s not the same. It’s still good for him to have, but it’s not as good as liquid. So, do you know what? Our son who was having trouble moving around, got down onto all fours and started searching in one of the cupboards. Again, I felt my own frustration rise. “What are you looking for? Can I help?” No answer. My consternation went up a notch. But then, there he was. He had found our silicon ice lolly molds, proceeded to fill two with Lucozade and asked me to put them in the freezer for him for later. I cannot tell you how very, incredibly proud I was at that moment. Again, he had gone to a place I had not in my own head. He remembered the doctor had said Lucozade (a sports drink) is okay too. He came up with a strategy to help himself. And he was right. Frozen Lucozade ice lollies are a great solution. If you don’t know the worries about the future that come with being a parent of a child with additional needs, maybe these little moments won’t seem like a big deal. The biggest fear I have is how he will fare as he becomes an adult. Will he be able to look after himself? Most importantly, will he be able to identify and be able explain to others when he needs help? As I lay there last night trying to fall asleep, I was thinking over all of this, replaying it in my mind. I disentangled my own tiredness with the other emotions. A strange bit of elation was tugging at my thoughts. I had a little light bulb moment when I realised I was filled with love and pride over how our son is learning. That feeling I was having trouble identifying? It was hope. Who knew a nasty intestinal virus that has me bleaching every surface would leave me feeling so happy? Trainers were hurled against the bedroom door. The day had been building to this. The car fuel warning light had pinged on. Traffic was heavier than usual. It was too cold outside. His finger was sore where he had bitten it. The car was rubbish. The queue in Subway was too long. He wanted to go home. Now. The week had been building to this. School was boring. There’s too much writing. A teacher was out ill. His tummy was hurting. He doesn’t want to go back to school for one whole week. He needs a break. Two weeks. The pogo stick is too small. His toenails are curved. The unicorn cupcake tastes like washing up liquid. There had been an incident two days prior where someone he didn’t know tried to contact him via his phone. It led to a concerning scene that ended up with his dad, me and the head of year in the deputy head teacher’s office, all praising him for doing exactly what he’d been taught to do. He had told a teacher. He hadn’t returned the call. The incident was – we think – benign, but it had scared him and us. This phone had caused angst this week. He hadn’t tried to break it. It had dropped. A few times over a few days. The screen was dead. He was beyond coping with it. With anything. We were there, in this moment. The phone was really and truly dead. We were home alone, just he and I. I was tired. Really mentally and physically done in. It was the first day I had been out, shopping, in more than a month since having had the plague. I started down the wrong path. “What do you want from me? (said with a bit too much oomph) I’m sorry the phone is broken. But WHAT do you want me to do?” Those eyes ready to crumble caught mine. And I stopped. Quickly. I had voices in my head. Voices of adults with FASD who have over years helped me to see this scene from another viewpoint. I swallowed my frustration. I forgot about the money. I forgot about the warnings I had given about needing a better phone case. I just sat down by him, silent. Quiet until I was ready. I offered to give him a foot rub with lotion. I saw he was frantically scanning the room and everything he was seeing was upsetting him. I wasn’t sure more things would not soon be flying. I was in my head trying to think of who I could call because I knew this night, this night I might not be able to handle this. I was frazzled and still slightly ill. I felt my self-pity rising. I started wallowing in it, feeling it was unfair that once again it was me having to defuse yet another situation. It was borderline at this moment. I suppressed my rising distress. I narrowed us down so we both could forget all the rest of it. I needed to get my head on straight. I asked him to close his eyes and just to concentrate on his feet. I rubbed his heals. I know he likes that. I added more lotion, warmed up in my hands first. I didn’t say anything more for several minutes. Our heart rates slowed. The stream of unintended words had stopped. We were just there. In the moment. Finally after the tension had melted a bit, I suggested we go sit on the bed in my room and watch a favourite movie. It reminded me how long it had been since we had done this, side by side, close. He had brought some journals into the room with him. I wasn’t paying close attention. He opened one. I was still fiddling with the remote, trying to get the movie started. I was, if I am honest, desperate for an electronic solution to the evening’s tension. He put the booklet directly under my nose. This was important to him. The movie wasn’t the point here. Again, I slowed down. I shut up. I listened. I looked closely. I recognised it. It was an old home-school diary, the one with the rainbow cover. We haven’t used this in well over a year, with a different teacher, a different Key Stage. He had remembered he still had it. He opened it to a blank page, instructed me to pick up a pen, to write a big “2019” on top of the page. He told me he wanted me to write to his teacher. He told me what he wanted it to say. He hasn’t been having his sensory breaks at school. He needs them. He feels like the rules have changed, he is not allowed to go to the sensory room this year. He wants to know why. When I said the teachers tell me he is allowed, he was insistent. They are NOT letting me go, Mum. (Listen to what he is saying, I told myself. This is important.) He told me he loses house points if he goes out of lessons. (What?!? But I stay silent, I listen, I write, and I plan the next email to the school in my head.) He misses the time when he gets to relax during the day with the school dogs. He feels like it’s all too much sitting. Too much writing. He said it is just like his old mainstream school. It’s changed at this specialist school. He can’t handle it. He doesn’t want to go. I wrote it all down, increasingly amazed at the moment that was unfolding. He was using his words. He was using the tools he knows that are available (tools I had forgotten) to express his needs. He was instructing me in how to advocate for him. Somehow, in his non-linear way, he was showing me the root of all that had happened today, this week. The cause of his escalating anxieties, the reason why our house has become increasingly tense over recent weeks.There is a reason. There is always a reason. Sometimes many. I seem to have to learn this lesson again and again and again. I vowed once again to always try my best to listen to what my son is saying to me, to always speak with him and about him with respect. Everyone with FASD is the primary expert in themselves. We need to be the experts in listening to those we love and sometimes in serving as their translators. Because, even if sometimes a person with FASD – big or small – might be unable to form the words and sentences in polite ways or in pretty paragraphs that help us ‘get it’, there are many ways different actions, behaviours, anxieties and sensory issues show us hints that there is something we need to understand better. Like, say, when unicorn cupcakes taste like washing up liquid. The best, most effective thing we can do sometimes is simply slow it down and listen. Our 14-year old met a friend there from our local “FASD Club” (this is what the kids call their get-togethers while we parents drink coffee and chat in the local support group that we started after our son’s diagnosis). She also goes to his specialist school. My husband and I enjoyed the chance to spend a bit of time talking with her mum and some good friends who help run the arts centre. We were welcomed as we entered by another friend of the family, a young autistic adult who was the most relaxed we have ever seen him. He introduced us to one of his friends, an older adult with additional needs. As the sing-a-long show progressed, some of the young people got up and danced. Our son and his friend chowed their way through a cup full of sweets, popcorn and chicken and chips from a local shop. They were laughing and giggling, paying half-attention to the movie and the other half to each other. It was sweet. At 8:00 our son kind of suddenly showed me his phone and said he was tired, that he wanted to go home. To be fair, he had been in bed before we went out at 6:30 (he often goes to bed early, I think because he uses up so much mental energy in a day). Part of the negotiation in agreeing to go out was that if he told us he needed to go home, we would. Even though the movie was just hitting the best parts, even though my husband and I both were enjoying the social aspect of being out among friends, we left. We congratulated our son on telling us he was ready to leave. We didn’t feel guilty, we were for once in an environment where others understood that we needed to head out. No questions asked. As soon as we got home, our son got into bed, turned off the lights, blasted his music and entered into his pre-sleep zone. Happy. Once upon a time I was scared for our suggestible son to be around others with communication difficulties. When he was little, the one person he had most problems with was a child who was nearly non-verbal at an after-school club. He simply could not understand why she could not speak in a way he understood. It escalated him. She used only strong language and he mimicked it. He was used to others over-compensating for his own lack of communication skills. He couldn’t interact with her in any kind of positive way. We thought this would be what would happen if he went to a specialist school. He has always been very verbal, even if his understanding often lags behind the words. But in reality, what happened after we moved him to a specialist school was that his whole being relaxed. This also coincided with – at the suggestion of the school and other professionals involved – giving him more freedom to dress as he likes and to let his hair grow long, acknowledging his gender non-conformity. Our son who was anxious and misunderstood for most of his life eventually, after an adjustment period, lost all those pressures to conform that had been guiding his every day. And those challenging behaviours that grew out of self-preservation started to melt away as his self-confidence grew. Last Friday night was a vividly wonderful example of the positive ways our creating space for and opening up to the world about our son’s uniqueness has brought him and us joy and support. There, in that room, was a beautiful future, a vision of life surrounded by friends and supportive people. The laughter and smiles on our son’s face as he was interacting with his friend filled my soul with hope. Seeing that he had role models of adults like him in that room, knowing that there were support people nearby and hopefully would be when in some very distant day that I am no longer here for him, that was exactly what I needed to see. Knowing that some of the adults in the room – community leaders – understand FASD because we have over the years given them the information that they need was also gratifying. The night was good for me too. His is not the same trajectory other kids might typically take. But once we let go of the way society defines our son’s stages and ages, we were able to see just how little that matters. He is becoming better able to express his needs and to advocate for himself with words not actions. He is learning to control his impulses. He is feeling more secure, less anxious. He has friends at school who are like him so he isn’t in a constant state of confusion, trying to understand social situations that were way above his head. He has other friends locally who know about his FASD, whose parents know about his FASD and who also know about and celebrate his considerable strengths. He has compassion. He is strong. He knows love. As a mum, I wish my fear had not kept me focused for so many years on trying to help him ‘fit in’ rather than putting my energies sooner into finding him places where he could ‘be’. If you could have seen that singing, dancing room full of happy young people and adults you too would have felt a sense of great hope. For all those families in the midst of hard times, please don’t give up on the hope. There I was, flying along at a fairly fast pace, feeling excited about the new year and really encouraged by what seems to be a possible paradigm shift in the UK with regards to FASD. OK, and yes, maybe also a little overwhelmed by the enormity of what it could mean if we collectively get this right for the lives of so many who have been ignored for way too long. And then, three weeks ago, I caught the flu. It smacked me in the face and cut me down at the knees like nothing has for a long while. A few sheet-drenched days of fever, chills, splitting headache, dizziness and weird vision that had me thinking something worse might be happening inside my head. Flu followed by secondary strep throat and chest infection. A winning trifecta. A pulled muscle in my back from coughing too much. Unable to eat properly. The inevitable delay in getting the NHS to cough up any antibiotics. A lovely trip to A&E on a Friday night to ensure I had not stupidly poisoned myself by not realising American acetaminophen is the same as British paracetamol. And through all of this, trying very, very hard to ensure our 14-year old with FASD and his 16-year old brother with Chronic Fatigue Syndrome did not catch my plague. Praying that my husband – who was key to keeping things afloat over the past three weeks – didn’t catch anything either. He and our 14-year old had flu shots, thankfully. It’s been three weeks now. I even have a bed sore to prove how pathetically holed up I have been. There’s nothing quite like that to make one feel old, worn and bemused. But as I start to feel human again, I am feeling positive about some things and scared about some others. A few years ago our son with FASD would never have understood my need to stay segregated from the family. He would not have been able to empathise with me. He would likely have escalated frequently because the confusion and anxiety would have been too much for him. But, as a family, we have survived these recent weeks. A few moments come to mind, some good, some not-so-good. While I was in the midst of the worst of the flu, our son wasn’t fully understanding why I could not help him bathe and get dressed for school, as I do most days. I said very directly, “Look at me. Do I look healthy or do I look ill?” And the poor kid stared at my haggard face and burst into tears. I guess I was trying to be literal in helping him to ‘see’ me but it was not my finest moment. I scared him. His eyes were so distraught. I saw in that moment what would happen in his world if I were no longer there. It scared me. News reached us that a good friend and colleague passed away at the same time as all this was happening. That news and the look in my son’s scared eyes left me devastated during the height of this illness. About a week later (when the worst of the flu morphed into the cough/strep phase), my son and I crossed paths in the kitchen after school. In a very quiet voice he asked, “Are you feeling a tiny bit better, Mummy, just a tiny bit?” My heart melted at his gentleness, at his compassion. At his need for hope. Another day, when it was just the two of us in the house, I heard him moving quickly and making some panicked noises in his bedroom. I could tell something had seriously distressed him. I crawled out of bed to see what was happening. He had a 2-litre bottle of water in his room and had spilled about a litre of it all over the floor. He thought quickly – he gathered towels, he removed the wet duvet, he understood the danger of the wet wires, even as he was teetering on dysregulation. I reassured him how proud I was that he knew the right things to do and I helped mop up the remaining mess and change bedding (while hacking and sweating all the while). Then, a couple of days ago he had been trying to find something for a video he was making. Hours later he said to me in a baby voice that there was a problem with a light bulb in his room. It took a bit of deciphering, but I finally worked out that when he couldn’t find what he was looking for, he had whipped over his head a phone charger that hit and broke a light bulb in his ceiling light. Over the past three weeks, his room had become an absolute pit without Mummy in there every day tidying it up. So the clean up of the broken bulb was a bit more intensive than it might otherwise have been. I had to clear the floor so I could vacuum up the broken glass. Maybe this doesn’t sound like a ‘win’ but it was. A few years ago this would have been all-out chaos, the entire room would have been literally smashed up. I would not have been able to handle the scene in a weakened state. Instead, we dealt with it, he left the room (his idea) when I started to vacuum as we both know he can’t cope with the noise. Peace was restored relatively easily. He coped with waiting for new bulbs until his dad could get to a shop. There is a lot to be thankful for in these fairly mundane stories. When Mum goes down, things can fall apart fairly quickly but this time this house, this house has stayed floating. The weight of it all sometimes can’t be ignored. I find it hard to walk the line, trying not to be dramatic but acknowledging how very ill I have been is important to our family’s wellbeing. Being an additional needs caregiver is a tall order sometimes. And sometimes, sometimes we can’t do it. It’s hard in any household when a main caregiver is ill but it has a more profound impact in our house. The strains are magnified. It all is just that much harder to cope. And still, not everyone ‘gets’ it. I feel lucky to have a network, a friend who can come over at a moment’s notice when we were sent packing to the A&E. I feel lucky that there are family members and friends who check in. I feel lucky to have employment that allows me the ability to recover rather than rush back into the fray before I am strong enough. I feel incredibly lucky to have a partner in crime who stays close and who looks after me. Even still, we have been barely getting by, feeling quite isolated and like people didn’t really understand just how hard this has been for our entire family. But too many are out there who don’t have any safety net. Too many are struggling on this fine edge between coping and not coping: people who might not yet have the diagnoses and therapies in place that our son and our family have accessed, people who might not have the insights into alternative parenting strategies and appropriate support in school that have turned around our family’s trajectory. People who are where we were a few years ago but who don’t yet see the glimmers of hope we found. What is out there for those people when they hit that point that I hit where they can no longer keep their heads up? I do worry about the future. It scares the heck out of me. But I see these small signs of progress and I cling to them. I hold fast. In a crisis of spilled water, our guy knew what to do. That makes my soul sing. I have sorely missed the hustle and bustle of being out there in it all with my boys. But there is some hope in the fact they all have gotten through this, in knowing that today after years of really difficult times we are stronger than we were. Self-care is going to be my new buzz-word. I fear I was too worn down and that’s why this knocked me so hard. And next year? Next year this ageing body will be first in line for a flu shot. The entire FASD community is fighting a life-and-death battle for systemic and lasting change. But we also have to remember we are all of us first and foremost on the frontlines in our own homes, and sometimes that is more than we can handle alone. It shouldn’t be so hard. And we shouldn’t judge when some find it overwhelming. This is exactly why society must put in place more funding and more supports for families affected by FASD. Whatever superpowers we may convince ourselves we have, we are in the end just human. As we welcome a new year, time is on my mind. Abstract. Controlling. Forceful. Time marches on, they say. They are not wrong. But in our house, we are in a time warp. Due to damage done to our son’s brain wiring before he ever saw the beautiful sunlight or felt the touch of another person’s hand, our son is weighted down by time. 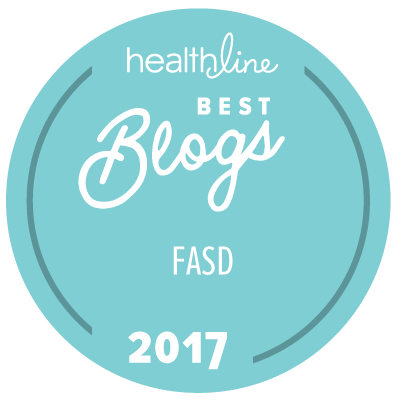 For those who love a young person with FASD it can be validating to learn more about the brain-based issues behind the acronyms and terms tossed about by medical professionals (when we are lucky enough to find practitioners who knows about FASD). One of the phrases that helped us better understand what is happening in our own household is the saying that ‘young people with FASD often function at a social or emotional level half their actual chronological age’. Skills levels can vary quite unevenly, as is shown by a thoughtful graphic by Jodee Kulp that is widely shared. This can be an eye-opener. But lately I have been thinking about all the biases that stop us from truly absorbing what this all means, even as we ‘know’ it. Today, all teenagers seem to have to grow up too fast. In our town, one day they are in small primary school classrooms, led through their day by one teacher and side-by-side with friends they have known most of their lives. The next day they are thrust into a 1000-person school with a dozen teachers in as many classrooms, suddenly having to merge into the educational highway. FASD families worldwide know all too well the devastation that can happen when our precious ones crash up against that kind of unforgiving system. In a world where teenagers are somehow expected to swim fast or move aside, kids who are on a different curve don’t have much of a chance. And while politicians and educators in the UK begin to figure out that we are sacrificing our kids’ mental health to GCSEs, there are those ‘other’ kids, like our children with FASD, who are spinning in the wind. The lucky ones are still holding on. Some might be in specialist schools, protected for a few more years. But too many are loose out there, flailing. Falling. Because while we say a teen with FASD might only have the social or emotional capabilities of half their age, we are not really digesting what that means, not making the adjustments that necessitates. Every day in a thousand ways we parents are bashing up against that mismatch and what it means for their lives. We feel frustration at socks scattered on floors, dinners uneaten, doors unhinged, rude words that hit their target because they are said in a voice that is deeper now. But those are just the ‘obvious’ signs. It means dealing with the disappointment of a 14-year old who waited patiently for Father Christmas, convinced a MacBook and iPad would appear because they make them at the North Pole where they don’t need to worry about money. It means helping him bathe and get dressed, to struggle over tooth-brushing and hair combing and all the sensory challenges they involve. It means Legos and marble runs that consume a room he cannot keep tidy on his own. It means playing silly games and understanding that when he starts to use baby talk or make animal sounds he is overtired or on the road to dysregulation. It means bumping into friends from his old mainstream school whose lives are completely different than his. It means having no sense yet of what relationships entail, no understanding of what half that new and very ripe vocabulary means, being unable to predict in advance the possible impact of saying the wrong thing to the wrong person. Mostly it means stepping back from others’ expectations. From our own expectations. Time after time, it means deflecting those ‘looks’ from some family members and friends who believe we are creating this mismatch between a body that has clearly gone through puberty and a mind that is still exploring the world as a much younger person might. It means shouldering past the ‘tut-tuts’ of those who believe he ‘needs to get on in the world’ and we shouldn’t ‘baby’ him. What it really means is isolation. For him and for us. That’s the part that is really hard. Because even the most well-intentioned and even some who love him sincerely don’t really get it, can’t really ‘get’ this different timeline and different reality. The holidays are brutal with their twinkling lights obscuring fiendish booby-traps everywhere. We jump aboard traditions when we can. Otherwise, home it is. The same four walls that protect us from the whirlwinds that can unearth him, equally press in on us. We try to be okay with that, but let’s be honest. Sometimes, it’s not so easy to feel so ‘different’ – even as parents we find that hard, we feel alienated from the other parents. How must it feel for him? So yes, I have been thinking a lot lately about how slowly time unwinds on this alternate clock. And what that means as I myself age. Most of all, I fear society losing patience. From the outside he looks grown up. He’s not far off from 16, from 18 – when society flips from compassion (to the extent it exists) to something else. Something harsher. Sure, we know ‘all kids need to go through the developmental stages at their own pace.’ This is a mantra we all have recited for our children, as we waited for those first words, those first steps, that first two-wheeled bike ride. Somehow, even then, we couldn’t help comparing. Adults with FASD say things seem to start even out for them in the mid-to-late 20s. There have not been adequate studies done about this yet. But I fully trust the wisdom they are sharing. People think I am joking when I say I am just trying to get us through the next decade in one piece. There is no guidepost for the teenage years. These years pound down on our sweet children at times turning them bitter. At times, leaving them feeling defeated, self-medicating, influenced by those pressures to ‘grow up’ long before they can begin to understand the impact of their choices. And I fear being guided by fear. I want to be strong enough to tell the world to ‘back away!’ To let my sweet son grow and learn and explore at his own pace, in his own way. To let him wear what he wants to wear, play with a doll if that is what he wants to do. Let him immerse himself in ‘Gelli Baff’ and to play with slime. I want to be strong enough to encourage enough social spaces to include him, to not always leave him out because he cannot cope with what ‘is’ – but to build something new that he will enjoy too. To show others that it can be equally fun to do things in a different way. These spaces and opportunities are few and far between (especially hard to find for worn down parents who are swimming hard to keep their own heads above water). How many soft play areas allow 14-year olds? And when does it change? It seems like it is going to get more difficult before it gets better. If I have a 14-year old that functions at the level of a 7-year old at times, soon I will have a 15-year old or 16-year old who is functioning in some ways at the level of a typical 8-year old. Maybe an 18-year old with some qualities of a 9-year old. The goal cannot be traditional independence at 18, no matter what The System thinks might be possible. And yet, though I know this, I reject some of the implications. This mismatch with age and maturity is still not yet the full picture. It forgets the fact that he is unique. And that in that uniqueness is splendour. Despite the rule of thumb about social/emotional age versus chronological age, he is NOT a 7-year old. He is a mix. A wonderful and original mix. And that’s the bit most people miss, even those who ‘get’ it. He has some tremendous skills and talents – some even in advance of his chronological age. He is a delightful fusion of unconventional strengths, innocence, wonder and exploration combined with a lack of self-editing that can be truly revolutionary if we celebrate and recognise this rather than try to stamp out his individuality in the name of conformity. Some of the greats of our world have marched to their own rhythm. They saw and experienced this world differently and in doing so, they changed things. No, our society is not lesser because of that mismatch between my son’s age and maturity and skills – it is enriched by his differences. If we just allow him space to grow. I guess my hope for this New Year is that we understand that time bends and moves differently for different people. He deserves to be celebrated for all that he is, not merely tolerated. I want this New Year to be full of exploration and wonder and mystery and love – for all of us. Each and every one of us, including those who walk this world with FASD. I want there always to be hope. Christmas is coming, the goose is getting fat …. And sadly the period of greatest potential for multiple meltdowns with it. The run up to Christmas is a really difficult time of year for children with an FASD. Schools go off timetable, so routine vanishes. Excitement builds as the holiday approaches. Multiple events pile up, one after another, in a confusing and seemingly relentless fashion. Kids just cannot cope. Their senses can be overwhelmed every time they go places with lights and music. Kids who find it difficult to assess time can struggle with the weeks and weeks of special events, wondering why Christmas hasn’t come yet. Worse, children who struggle to comply with all that is required of them in school, whose symptoms are treated as bad behaviour at the best of times by those who fail sometimes to even recognise that they even have life-long organic brain damage, find themselves wondering if Santa understands they aren’t being naughty and whether they’ll get presents because so often they are told they are being bad. And bad kids don’t get Christmas presents. So, even where our youngsters manage to hold things together outside the home, very often this time of year brings an increase in meltdowns, school refusal, tears, sometimes increased violence and angry words. Friday night this week brought a broken phone screen as frustration built up, with concern about spending next week off timetable a real factor. Things become very fraught for all. It can have a horrible effect on families, and for extended families who don’t get FASD it can be completely inexplicable. Accusations of bad parenting can fly, which just increases tensions and perpetuates the cycle of misery. So, how to avoid this so far as is possible? Well, it isn’t easy. But there are ways to reduce tension, ease anxiety and make Christmas and the New Year easier to get through. We start from the point that we know our son best, and from experience understand what we need to do to help him be able to get through each day. We listen to him, and this has got easier as he has got older and is able – at least sometimes – to tell us what he needs in words to be calm and happy. We build Christmas and the New Year around him. We do everything we can to lessen the sensory burden. We do everything possible to reduce stimuli and anxiety. We recognise our son’s disability and the needs this means he has. We give priority to meeting those needs. This means we miss out on things. If he can go to the pre-Christmas carol singalong, then we go. He does enjoy it (he loves singing) when capable of accessing a crowded public event. We do decoration to the extent he can cope with without becoming agitated, and when he can manage it. Sometimes that means lots of decorations, sometimes relatively few. A couple of years ago he wanted to keep the Christmas tree in the living room all year long. So it stayed (he was right, it was kind of pretty). We had already bought an artificial one as he became extremely anxious as time went by and needles started to drop. Presents only appear on Christmas morning. Temptation would be too much if they sat under the tree for longer. Which means we stay up very late to make sure the kids are asleep as we await Santa’s arrival. One Christmas a sleepy older neuro-typical son appeared at 1.30am, just as Father Christmas was finishing. Luckily he was so tired he could be guided back to bed or we might well have had presents in the middle of the night. After all, Santa had called. Christmas is for kids. In this case, we build Christmas Day around our son. Presents early. The kids can stay in pyjamas and play with toys and games. No pressures at all. Food and drink can be eaten where they play. We do go for lunch and family presents with family. We’ve learned over the years that we need to keep this shorter than we otherwise would. And if our son needs to be in another room listening to music or playing on his phone, then that’s where he is. He can’t manage to sit in a crowded room for a long time, or stay still for so long. It’s better for everyone when we accommodate his needs. In the end, it’s simple. Do what you know your kid needs to get through the holidays happily. Cut everything else out. And while this is about children with FASD, it’s much the same for adults with FASD – they too need accommodation, support and understanding. Inclusion is more than just inviting someone along. It means helping to ensure all are able to access and enjoy the fun. Wishing everyone happy holidays and a wonderful 2019. For some great advice, see this video, “Hark, the Holidays Approacheth! (Preparing for and Avoiding Behaviors During Holidays)” from Oregon Behavior Consultation. Oh sweet child, today you asked to clear out your room. You have been saying for weeks that you wanted to do this. I kept finding excuses. I didn’t want to face what I knew was coming. But you dove into the project. Knowing how this sort of task can easily overwhelm you, I calmly said I’d help, even though it was early and I was tired, un-caffeinated and unconvinced. And soon there we were, knee deep in the tomorrows I had thought you’d have as you swept away my earlier visions of the way your future might unfold. The future I was creating for you in my mind, before we understood your FASD. “You bought me too many books.” Yes, I suppose we did. I said, “I know, but we used to read them together.” You replied, “I don’t like books with too many chapters, too many words.” I know that now. You suggested we could get more workbooks. You wanted to keep exercise books. “I have too many copies of ‘Alice in Wonderland,’” you said. Because, my son, at one time you were completely and utterly engrossed in Alice, you fixated on the fantasy world. We watched movies. We read books. We watched an Alice ballet. But okay, now I see you are ready to move on. “These books are baby-ish,” you said, sweeping away the books about bugs, about colds, about how children lived in Anglo-Saxon days. The books with pictures that we spent hours looking at, making up stories when reading was too hard. The kids’ joke books you loved but never really ‘got’. This isn’t the first time we have culled these shelves. Some of these books are ones we thought might give you some important info in a more accessible way. But you’re right. They are for much younger kids. Some books stayed – Spy Kids, all the playbills from the many plays you have seen, a collection of the later Biff and Chip books, the Diary of a Wimpy Kid series. And of course Amelia Bedelia. She is so literal and she tries so very hard, just like you. You still laugh when she gets herself into a pickle every time. We understood at a point that you do better with chunks of information, accompanied by visuals. So we have a large collection of DK Eyewitness Books that you and your brother used to page through – covering everything from the weather to history to the Titanic (that one you kept). Book by book, I had to bite back my regrets. All those Dr Suess books that I adore but that I know now must have completely confused you with their nonsense words and silly pictures. I held in my arms some of the great children’s literature I loved as a child, trying to decide if I am ready to let go of my dreams of reading these with you, knowing I must. And the toys and games. “I hate puzzles.” I flashed back to so many times we tried to do puzzles with you as a young child. You would get so frustrated. You had to try the piece every which way until it eventually fit. Even if it was a triangle into a square hole. You kept at it, determined. You did eventually get there. I had no idea then how your brain struggles to think abstractly. That practical trial-and-error approach was you trying your absolute hardest. A reminder for me of the way you learn best – hands on, experientially. I stared at the newer 120- and 200- piece puzzles, agreeing we could get rid of those now. Today you were prioritising you. Rightly so. I am proud of you. It can’t have been easy to move me into action. I am sorry it had to take such sheer determination on your part. I should have been listening more closely. But I would be lying if it didn’t admit that I spent the day grieving in a way I haven’t done in a long time. I spent the day missing those earlier years when it was easier to get you to do what I thought was best. I spent the day second guessing myself, as I accepted again that I don’t always know best. You have always shown me what you need. How hard it is sometimes to listen. 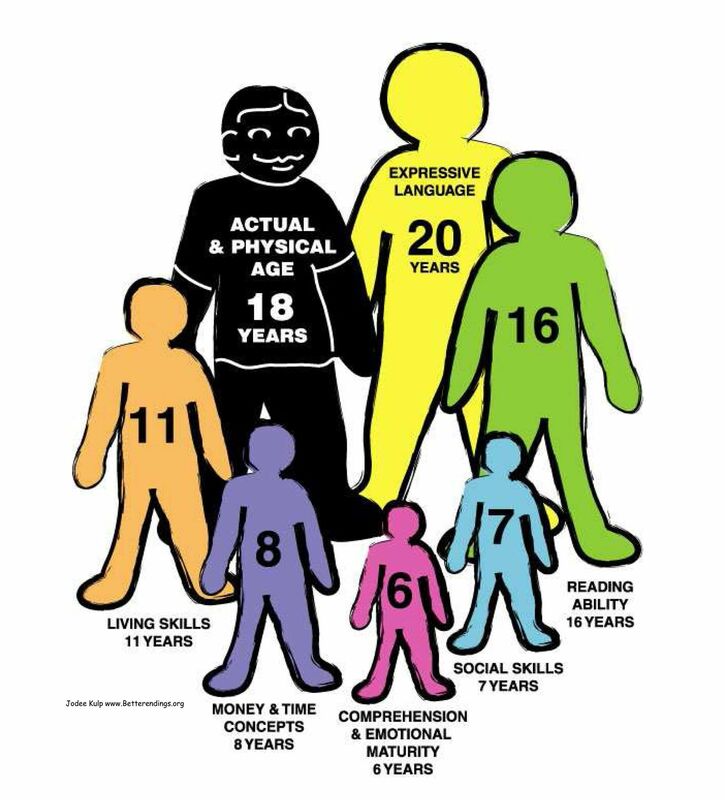 We say it all the time, that young people with FASD are often socially and emotionally half of their chronological age: “stage, not age.” But these teenage years are tricky. That ‘rule’ doesn’t apply evenly and it’s not consistent. It’s dependent on lots of things. In a day you can go from being quite surprisingly mature to acting like a much, much younger child. Sometimes your insights catch my breath. Other times, I feel fear when I have to repeat something very basic that I know you once knew. I really don’t know everything that you need these days. You are a glorious mix. You are all about music, electronics. You have taken on board the idea that sensory items help you, so we kept a shelf free for the slime. Today, in a new toy store full of toys, you chose a sensory bed tent. It has a light inside. And a unicorn on the outside. You still want us to create a stage in your room with curtains that open and close with a string. We will try. I am not convinced you really wanted to get rid of the dreamcatcher and the emoji pillows. I was surprised you asked for us to bring the Lego back in your room. Then I grew worried as storm clouds gathered when you wanted to recreate a Lego schoolhouse that you long ago smashed apart. The pieces are mixed in with thousands of other Lego pieces now, making it unlikely we can recreate that model. So, where is all of this going? When we first started pulling apart your room, my original plan was to put those DK Eyewitness Books on a bookshelf in another room. But I have been staring at them long and hard. When you want to know something, you google it. You learn from YouTube videos. This is a real strength you have, your ability to navigate online. You are not ever going to go to those books for information. I get that. I have to let them go. I have to let it all go. I love you so very much. I know these things mean nothing in the long run. You are doing so very well, as you learn to understand your body and your sensory needs, as you show us your strengths that come from having a mind that works differently. You have a rack full of sparkly dress up clothes. You love performing. Your Christmas list is full of special lights, music and technology. Your dreams are in some ways larger than life. But who among us dares to limit you? You are so talented, who knows where they may lead? So, yes, I will sweep clear those shelves so you have room for disco lights and microphones and amplifiers and speakers. I promise I will try to remember that in your 14-year old body is a unique and growing young soul that needs to feel comfort and nourishment in the items that surround him, whose room should not be a place where he looks around and feels inadequacy in failing to meet someone else’s vision. It had never occurred to me that you saw those things in your room as my failure to understand you and what you really like. Dear amazing you, thank you once again for teaching me what I needed to learn. It’s National Adoption Week and the theme this year is “The Adopter”. Since that’s me, and my wife, and also my mum, I thought I’d write something for the occasion. Hopefully, some of you out there thinking of adopting will find a spark here, some inspiration that will confirm that for you adoption is the right thing to do. I really do hope so. Adoption is a wonderful experience. For you. For your child. And for all involved. As long as it’s done right. First of all, do it for the right reasons. Be sure you’re not wanting to ‘save’ a child. You’ll hear from friends and family that you’ve done a wonderful, charitable thing by giving a home to a needy child. If that’s your reason, don’t adopt. Adopt because you want a family, or you want to complete your family. Because you want the love and joy a child will bring into your life and have plenty of your own to share. Secondly, understand that adoption has changed from the old days, when those of us who were adopted as babies were likely to have been given up by single mothers shamed into allowing us to be adopted by the dark, somewhat unforgiving social mores of the time. We were largely newborns, healthy and (at least in my case, handsome and adorable 😊). Those kids available for adoption now are still adorable, but they’re unlikely to be newborns and their pathway to adoption is different than mine. They will have suffered neglect, early life trauma, may well have a disability and/or other health issues. They may have an attachment disorder. Or, and here’s why this blog is writing about adoption, they may well have a Foetal Alcohol Spectrum Disorder (FASD). Statistics on FASD are not good amongst looked after children up for adoption. The condition is very much under-reported, under-diagnosed and poorly understood or recognised by midwives, social workers, GPs and even Paediatricians. A study in Peterborough showed that 75% of children available for adoption had been exposed to alcohol in utero. That doesn’t mean the kids have an FASD, but the risk is there, and it is significantly higher than for the population as a whole. As an adopter, bringing a child with FASD into your life will be a huge change. Our son has brought music and performance into our home. He takes us to places we would otherwise not go. He has brought the widest smiles of joy. He has taught us much about ourselves and our capabilities to care. Kids with FASD have executive functioning deficits which means they constantly need help to organise themselves through life. Many have learning disabilities. They have sensory needs that are difficult to meet. They can meltdown with a depth and severity that is extremely hard to manage. Doctors fail to recognise the condition. Social workers don’t write up maternal alcohol consumption in notes, making diagnosis harder later on. Therapists of all kinds don’t know about FASD and struggle to adapt their services for our kids. To be an adopter, you will need deep reserves of resilience and humour and love to do everything your child will need, and everything your wider family will need. You will have to possess a desire to learn all you can to support a young person, and to show your family, friends and the professionals in education, medicine and social work how to support him and you. Society also needs to better support adopters who make the decision to adopt a child with FASD, or one who may well have the condition (you might not know for sure since FASD is so under-diagnosed). To be an adopter, you’ll become a campaigner for recognition of FASD in the educational system. You’ll become an advocate for the wider needs of families with kids with SEN, things like more respite breaks (or indeed access to respite breaks at all!!) and for the reasonable adjustments all institutions should make for kids with a disability under the 2010 Equality Act. Sounds scary, but it’s doable. You’ll be a better parent for meeting the challenge. So, be an adopter of a child with an FASD. Go into it with eyes open. Read up about FASD. Join support communities like FASD UK’s closed group on Facebook. Get materials from NOFAS-UK and other groups working on the condition. And if, after a good hard consideration of the idea, you think you’re up for it don’t let four letters and all they mean deprive you of the love a child with an FASD can bring into your home, or stop you giving them the loving home they need to thrive.